On the menu: a star chef gala, flaming risotto, and fashion Santa. Delicious and gluten-free. 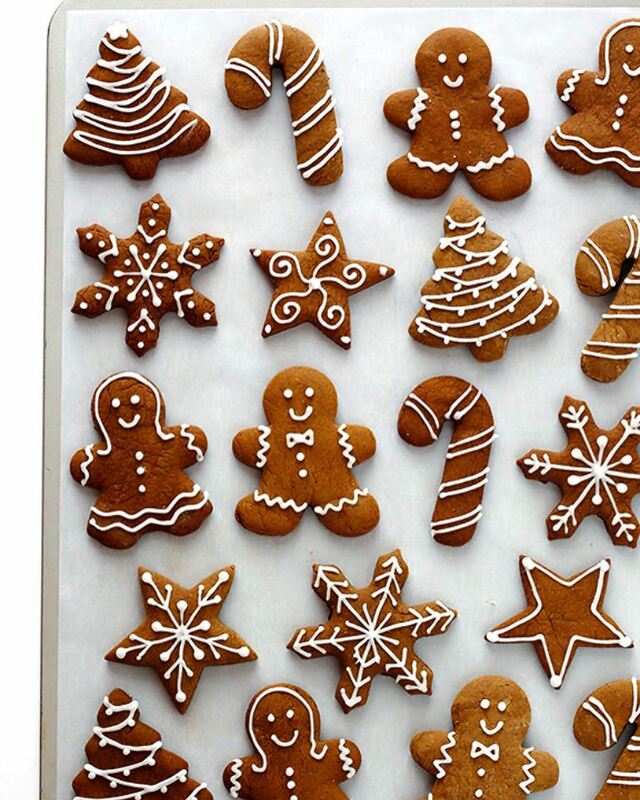 Learn how to make these friendly Christmas gingerbread cookies this weekend. Photo courtesy of Bakefully Yours. Kara Newman, spirits editor for Wine Enthusiast Magazine, is celebrating the launch of her new cocktail book with–surprise!–a drink. FromNewman will shake up three cocktails from Nightcap at Catoctin Creek this Friday from 7 PM to 9 PM. Tickets are $40, and include light bites and a signed copy of Nightcap. Up next on Via Umbria‘s popular “Chef’s Table” dinner series: flaming risotto. This Friday, from 7 PM to 10 PM, feast on a truffle and porcini risotto in a giant wheel of parmesan cheese that’s set on fire with a douse of Grappa brandy. The four-course dinner will include a pan roasted beef tenderloin, and gelato for dessert. Tickets are $82.50. Finally, a Santa we can get on board with. Photo courtesy of Paul Mason Model. 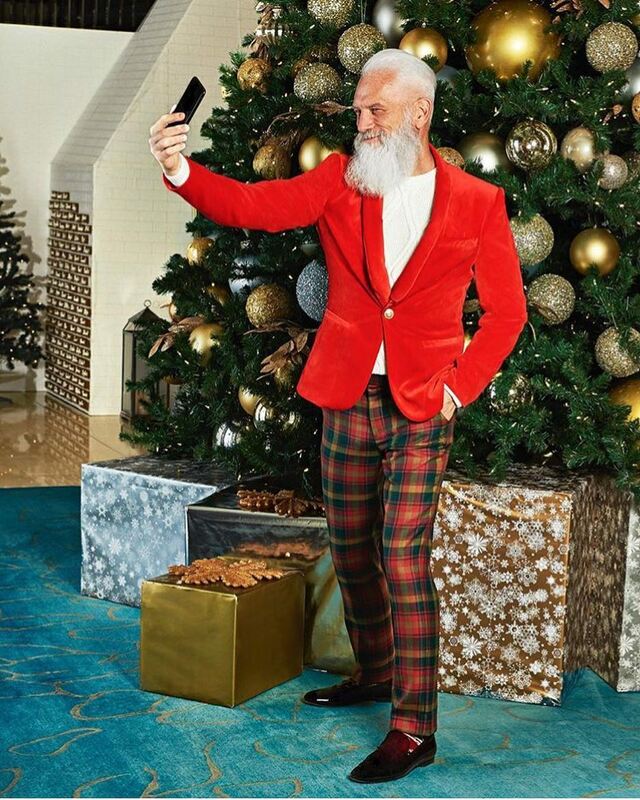 Ever wanted to see a millennial-friendly Santa Claus? The Ritz-Carlton in Georgetown has given ol’ St. Nick a complete makeover in preparation for Saturday‘s “Fashion Santa” event from 5 PM to 7 PM. Drink hot chocolate and snack on fireside s’mores with Paul Mason (@paulmasonmodel). If you’re lucky, he might just let you sit on his lap! Attendees are asked to donate $10 to Children National. Being gluten-free over the holidays can be hard, but you don’t need flour to bake on Christmas. This Saturday, from 11 AM to 1 PM, Sarah from Bakefully Yours in Sterling will teach kids how to make (and professionally decorate) gluten-free gingerbread cookies. Tickets are $40. Calling all Army and Navy service members! Valor Brewpub is shaking up this Saturday‘s Army-Navy football viewing party with a cocktail throwdown starting at 3 PM. One bar will be helmed by retired second lieutenant Chard Luebbert of the US Army, and the other by Marine Brigadier General Kevin Nally. Food and drink specials are on tap as well, including brews made by Valor‘s brewmaster and military veteran, Greg Maddrey. 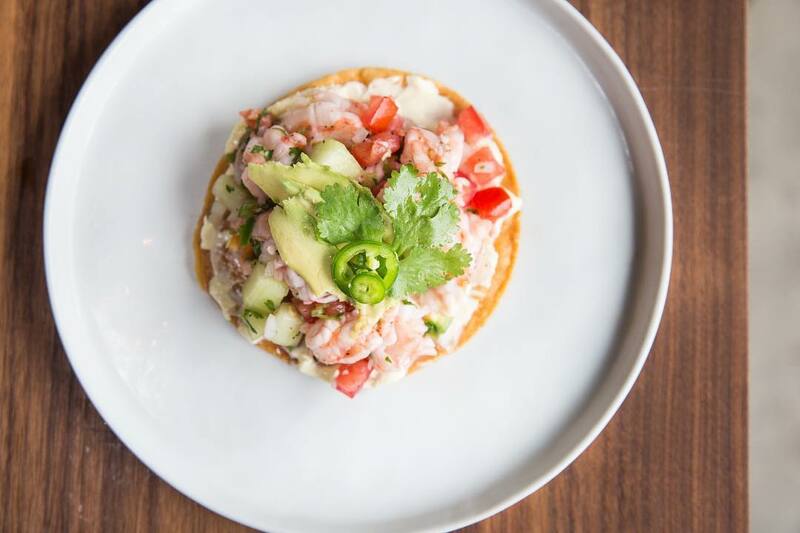 You can try this Aguachile Verde from Chef Carlos Raba at the StarChefs tasting gala on Tuesday. Photo courtesy of StarChefs. Adams Morgan is throwing their 40th annual holiday market showcasing more than 50 local artists and vendors on Saturday and Sunday. Make sure to bring your holiday spirit; carolers, a festive farmers market, and tree selections will be available on Saturday. Hungry for more holiday markets? Check out our list of local pop-up markets here. Capitol Cider House hosts its final Battle of the Bands competition this Sunday from 1 PM to 4 PM. Help decide which of the eight local bands will take home the grand prize of $1,000, all while sipping specialty ciders. Downward dog and drink? This Tuesday from 6 PM to 8 PM, VIDA Fitness and District Distilling are teaming up for a Chaturanga and Cocktails night for health-conscious, hard-drinking folks at Thrive DC. VIDA instructor Alexandra Chili will lead a night of vinyasa flow. After, try skinny versions of District Distillery’s cocktails ,and a special VIDA cocktail menu with healthy bevvies. Class is free, although a $5 donation to Thrive DC is needed to reserve your spot. 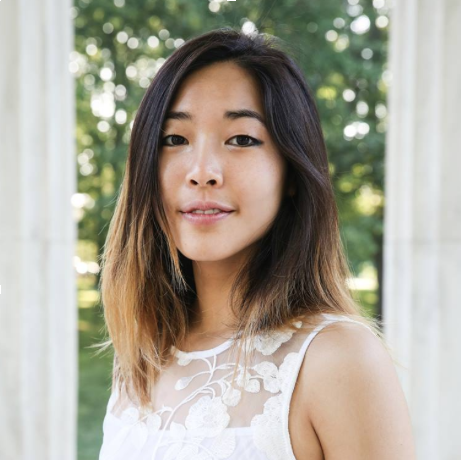 Every four years, DC honors rising stars in the culinary world with a StarChefs gala. The event will fall on a Tuesday this year at Dock5, and will include an opportunity for guests to walk around and taste offerings from DC’s top chefs, sommeliers, and restaurants. General admission is $95 per person, and VIP tickets are $150.